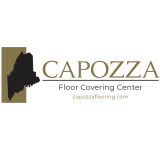 Capozza Tile & Floor Covering Center is a family-owned and operated business. The company was founded in 1974 operates with the philosophy that quality workmanship and customer satisfaction is the first priority in all commercial and residential projects. Our Mission is to provide knowledge and installations that exceed consumer expectations through an extensive line of tile and floor covering products. We are passionately committed to providing unparalleled experiences to our Customers, Team and Community, with a continued devotion to outstanding results. We specialize in hand - made, natural fiber area rugs from around the globe, designer wall to wall carpet and sisal, grass, jute and woven vinyl. We hope you visit with us in Portsmouth, New Hampshire. Our showroom has over 2,000 SF of flooring and tile samples to choose from. Our staff is most knowledgable and helpful. We would love you to peruse and test our flooring samples . . . walk on them, feel the quality, choose the color, style, finish and/or texture of your liking. We will be here to help you through the process, from the introduction of our products to the installation. We look forward to working with you whether it is residential or commercial space, new construction or remodel, one room or the entire building. We help you create a stylish space one floor at a time. 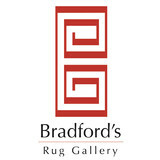 The Mougalian name has been synonymous with fine oriental and handmade rugs since the 1930s. Mougalian Rugs combines their knowledge of fine handmade rugs with a strong background in color and design, to help you pick the perfect handmade oriental or designer rug that will serve as the foundation for a living or work space that is certain to bring you a lifetime of pleasure. Full service flooring and Design center located on Marginal way in Portland for over 25 years. Residential or Commercial, we will educate you an your options to best meet your needs. Free estimates, timely responses and professional suggestions are what we pride ourselves on. Rousseau Reclaimed LLC. searches the country to find barns and historical buildings that are being dismantled to supply you with wood that has come from a different age. The wood salvaged from these building is unmatched in patina, character and charm. This is quality wood you cannot find at ordinary lumber yards. Our biggest seller, Heart Pine, also known as Longleaf Southern Yellow Pine, is the primary species salvaged from historic buildings in New England. Because of its high resin content, Heart Pine produces a superior floor that is imbued with deep rich colors and a tighter grain pattern. The antique barn board and hand-hewn timbers we recover from historic buildings come in a variety of species including pine, oak, chestnut, poplar, spruce, Douglas fir and hemlock, to name a few. In addition to our antique flooring, Rousseau Reclaimed wood can be beautifully crafted into table tops, paneling stock, mantels, cabinet stock and accent timbers. We hope that by choosing our products you can join us in making the world a greener and more beautiful place. Welcome to Seacoast Flooring! Located in Saco, Maine on Route 1, we are here to help you find exactly the flooring that fits your needs and budget. We offer in-home consultations and free estimates. Seacoast Flooring carries a wide variety of carpet, vinyl, luxury vinyl tile, hardwood, cork, bamboo, laminate, ceramic and porcelain tiles, and natural stone. We can design custom showers and backsplashes! Family owned and operated by David and Barbara Cunningham, Seacoast Flooring has the experience you’re looking for in a flooring store. 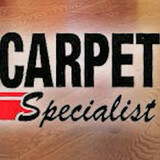 David has worked for area flooring stores over the past thirty years in sales and carpet installations. His reputation for attention to detail is second to none. He also has an extensive background in carpet repair, saving our customers money! Established in 1999, G&N Flooring By Design has transformed thousands of homes in Seacoast New Hampshire. Now with access to all the best brands, design styles, green products and more, G&N is dedicated to designing the best floors for your home. Owner and operator of G&N Flooring by Design’s, Greg Durant has over 20 experience in design and the art of customized flooring and more. With his impeccable taste and attention to detail he will listen to your needs and design within your timeline and budget, making your space into an inspirational one. Greg Durant resides in Newmarket, New Hampshire with his beautiful wife and very active six year old son. For more than thirty-five years J & J Floorcovering has helped homeowners and small businesses update their spaces by installing the newest and finest flooring materials on the market. We are proud to be the oldest full service flooring business in Mount Washington Valley. Established in 1978 by Roger and Debbie Jones, and now joined by their son Winfield, the tradition of in-depth product knowledge and quality sales and installation is assured. Hogan Flooring is a Modern Showroom for all your floor covering needs. We also specialize in Custom design and installation for showers and back splashes alike. Higgins Carpet One was started more than 30 years ago by Jim Higgins, who still works by the front door of our showroom at 111 Ocean Street in South Portland so he can greet all our customers! Jim attributes our success to and thanks our many customers, some who are now sending their children and grandchildren in to buy flooring. What makes so many of our customers say Higgins Carpet One is better than the other flooring stores in Southern Maine? THE HIGGINS CARPET ONE DIFFERENCE: First is our excellent staff. Our staff has an average of 30 years experience in the carpet and flooring business, and are committed to always putting the customer first. Jim and Terri will help you choose the perfect floor in our store, and then will be your single contact throughout your project, helping to measure, estimate, order and schedule your job - allowing you to work with one person who is familiar with all aspects of your flooring project. Second is our installers. We guarantee our installations for the life of your carpet. You can be sure that your installation will be completed on time and perfectly, everytime. Third is our wide selection of popular, high-quality brands. Higgins Carpet One is Southern Maine's exclusive dealer of LEES For Living, Bigelow, and Carpet One. We also have exclusive collections from Armstrong and Mannington - only available at Higgins Carpet One. Fourth is our Select-a-Floor display system, with over 15,000 carpet colors color coded with bronze, silver, gold, platinum, or titanium warranty labels, and organized by style type such as Berber, Casual, Sophisticated and Workspaces-to make finding the perfect carpet easy for you. Lastly, to ensure your long term satisfaction we have the best carpet and flooring warranties in Portland, period. Our floorcovering has a Four Point Warranty, covering: Stain Resistance Wear Installation Customer Satisfaction We want you to enjoy your floors for years to come! M.J. Storey Inc. has four divisions: CoraCrete: Decorative Concrete Resurfacing for basements and garages. M.J. Storey Landscape Construction Inc.: Provides professional landscape installation and seasonal maintenance services. CamCo Custom Fire Pits: Maine’s premiere custom stone fire pits. Perfect Pavers: Specializes in providing high quality hardscape restoration, maintenance, cleaning, joint stabilization and sealing services to Commercial and Residential clients in Maine. George Durfee recognized the perfect fit that adding carpet would provide to his vacuum business. From Biddeford, we moved to Topsham and then to the Bath Road in Brunswick. Originally we were across from the Navy base and they established that land as a clear zone and we were forced to relocate. In 1983 we built our present location and that is when George's dream of a complete flooring/vacuum business became a reality. Today we are one of the largest and most recognized flooring stores in Maine and we are very proud of that. For nearly 70 years, we have been Southern Maine's leader in flooring and installation. Our experience and knowledge in current products and trends have been the reason customers choose The Carpet Specialists first. Our installers are the best in the business and we pay extra attention to the treatment of your home from the moment we arrive. Installation of flooring requires expert experience and knowledge and we take great pride in our work. Whether it's tile, carpet, hardwood, or laminates, we can help you choose the best flooring to fit your budget and lifestyle. *Authorized Dealer of Shaw Floors* Classic Flooring has been serving southern Maine for over 25 Years. We specialize in flooring and bring to you an extensive collection of Carpet, Oriental rugs, Vinyl, Ceramic tile and Hardwood. Our knowledgeable and experienced sales staff will assist you in finding the right floor for your project, budget and design needs. Quality customer service comes first with our staff and you can be sure that your shopping experience will be one that is easy and enjoyable. We carry the most current flooring styles and designs in all price ranges. Our huge warehouse and showroom of over 25,000 Sq.ft enable us to sell less than the Big Box stores with 10 times the selection. Come in today and see how Classic Flooring can help you with your next flooring project! Carpet dealers in Cape Elizabeth, ME help homeowners choose the correct carpet covering for their floors, and also assist with carpet maintenance. This includes determining factors like material, carpet pile, durability, color and size, as well as helping with any custom carpet design. After completing the initial installation (which includes removal of the old flooring, if applicable, and surface prep), they may also handle follow-up maintenance requests such as carpet cleaning, carpet repair and carpet stretching. Carpet dealers might work closely with Maine contractors, interior designers and others in the home building and home improvement industry. Here are some related professionals and vendors to complement the work of carpet dealers: Interior Designers & Decorators, Design-Build Firms, Specialty Contractors, General Contractors, Home Builders. Find a carpet dealer on Houzz. Narrow your search in the Professionals section of the website to carpet dealers in Cape Elizabeth, ME, and read reviews and ratings for pros in your area.